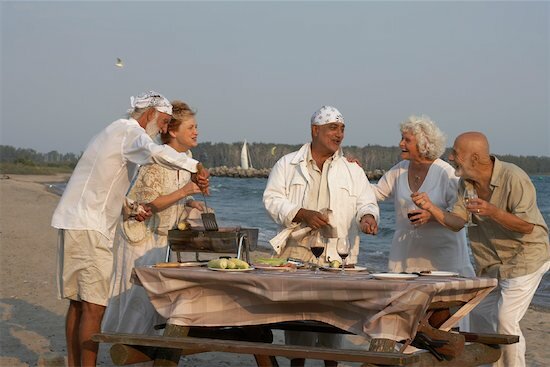 The members of Silver Connections, who are mostly Boomers, are a perfect example of redefining what “age 55+” means today. They, like many others, are changing past stereotypes of growing older and are leading the way in embracing new opportunities for aging well. I am a 65-year-old man. When my grandfather was my age, he carried a walking stick and was shuffling towards his grave. Happily, my own prospects and those of many of this the world- 760 million people – who are over the age of 60 — couldn’t be more different. As the global population continues to age, the baby boomer generation is forcing society to rethink what it means to grow old. This year’s UN World Health Day was on April 7’th and was dedicated to “Aging and Health”, highlighting the importance of this issue. Statistics show all too clearly why we cannot afford to stick our heads in the sand and continue to view older people as a sickly burden rather than a valuable resource. In more than 20 countries, life expectancy has climbed above 80. Globally, the number of people over 60 is expected to double to 2 billion, or 22 percent of the population, by 2050. Yet despite this transformation, the way we approach old age remains rooted in out of date systems and patronizing stereotypes. One hundred years ago, few people reached the age of 65, and those who did were likely to be in poor health. Economically speaking, it made sense to send them home with a small pension. It was more logical than retaining the worker when they were no longer physically able to be productive. Now, we still deal with aging as if it was the 19th century. It’s simply not sustainable to ignore that fact. There could possibly be 30 years of life after work and must be made productive. If not, the cost of maintaining a rapidly growing older population will have a devastating effect on younger generations, who simply won’t be able to generate the tax income to support older people’s quality of life and growing healthcare costs. This does not mean stretching out full-time work so that we all continue doing 9-5 until we’re 95. We need an entirely different approach, something that recognizes that growing into old age is a long transition taking 20 or 30 years, rather than a sudden cutting off point. It should mean more flexibility in the workplace. It should include staggered retirements and a greater use of sabbaticals, so that an older person can go away for a year, recharge his or her batteries, and come back with more energy and new skills. The idea that older people clog up the workplace, depriving the young of their chance, is misguided: Research shows that for every three older people still in work, a vacancy opens up for a young worker because of the wealth created. Moreover, the older generation — many of whom have high educational levels and, for sure, a lot more experience than their younger peers — has an important role to play. Us baby boomers are precisely the generation who are bringing about this revolution. Never before have we seen a cohort hitting the age of 65 who are so well-informed, so wealthy and in such good health. In the same way that my generation transformed adolescence into a protracted period of experimentation, creativity and rebellion, so too are we redefining what it means to age. We are witnessing the emergence of a “gerontolescence,” a new period of transition. We will not allow our rights to be ignored and that all we are fit for is a spot of light volunteering. Of course, there needs to be a proper safety net in place for the vulnerable, but more and more of us who are fit and healthy are insisting that we participate actively in the workplace, in society and in politics. No country can afford to ignore the aging demographic. The risks are manifold, and are already unfolding around the world. In both the developed and developing world, pension schemes are under pressure, old people’s rights are overlooked and the global economy is being put under strain. If we fail to adapt to the new reality, we risk a social convulsion, a fracture dividing the generations which pits one set of interests against another. All a part of aging well!